I plant papaya tree in my old house. Then it was infested by termites. 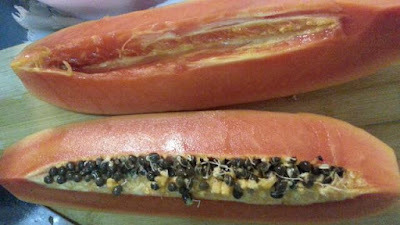 Ppl said papaya tree will attrack termites. From that time onwards I don't go near this tree anymore. Sprouting papaya seeds - perfect to be planted. Could plant them in little pots first to get small plants to give friends who have suitable land to plant them. 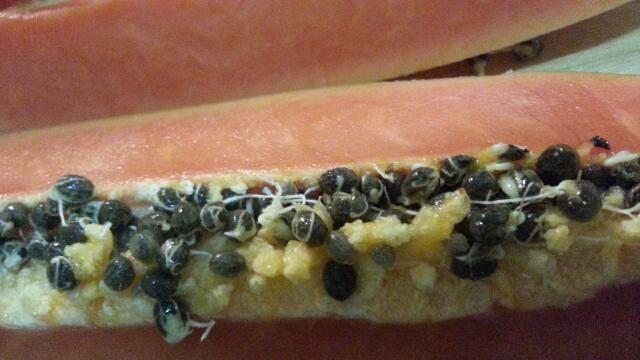 My first time seeing sprouting seeds in the papaya too. Interesting! 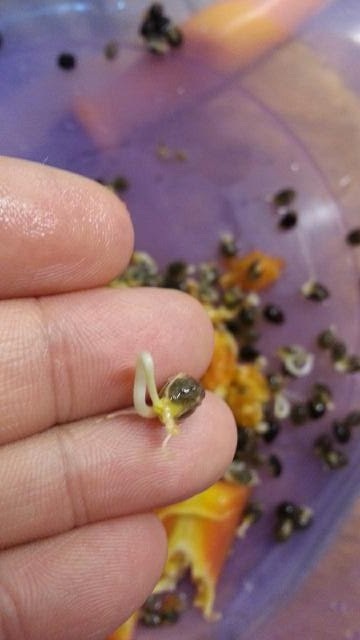 I never see sprouting seeds in the fruit. Maybe you could plant them. It is for the first time for me to see papaya seeds!!! I have come across sprouting seeds inside the papaya fruits. I used to have dogs and my dogs loved to dig up whatever I have planted in my garden. Plant in a pot? 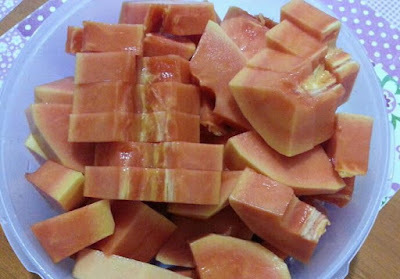 But so hard if need to protect from dogs. My previous german shepherd destroyed TONS of plants in his time.